Safe Spectrum Lamps- What is Safe Spectrum Lighting? What is Safe Spectrum® Lighting? Utilizing the knowledge gained from 50 years of research into the impact of light on food, Promolux Lighting International has created Safe Spectrum® lighting technology. Safe Spectrum® reduces the levels of harmful wavelengths in the invisible and visible spectra to minimize damage to foods displayed for sale to the public. This results in improved food safety, reduced rates of spoilage, and a visually attractive presentation. Most food consumption is traced first to the distributor of such foods, which include retail food and food service establishments. Studies by food science institutes, universities, and research laboratories have shown that radiation from retail lighting has a damaging effect on food displays. For example, the top layers of fish displayed on icebeds can be up to 25° F higher than the fish at the bottom of the display. It is clear that this type of temperature abuse is a definite food safety risk factor for retailers. Retailers around the world are finding that they can save over 30% of their shrinkage. 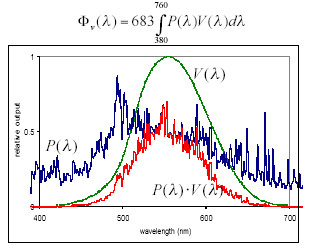 In addition to the damage caused by the physical heat radiated by infrared wavelengths from retail light sources, different wavelengths of the visible spectrum chemically react with food, oxidizing it and accelerating bacterial growth and the development of harmful and poisonous substances. We will present studies that show how light affects meat, dairy products, potatoes and other produce, beer and wine, and other retail products. Light sources impact food safety and shelf life. Safe Spectrum lamps made by Promolux have been tested by research laboratories and universities, and have been found to cause less damage through reduced radiation and less bacterial growth, resulting in longer product shelf life and safer food. Retailers around the world are finding through actual store tests that they can save over 30% of their shrinkage in their seafood, meat, deli, and other departments. This results in a very quick payback in reduced losses and also in higher food safety, higher customer satisfaction, and better merchandising. What types of fluorescent lamps are there? There are several major types of fluorescent lamps in the market. We can separate them by wattage and size differences as well as color rendering differences. In terms of wattage and electrical specifications, we should first note the industry standard identification numbers provided on the lamp. Then note the length of the fluorescent tube and the type of contacts at the ends. Also important is the tube thickness which determines if it is a 1-1/2 inch diameter (T12) or a 1 inch diameter (T8) tube. In some display cases 3/4 inch diameter (T6) tubes can be found. Most T12 lamps are available in 24", 36", 48", 60", 72", and 96" lengths. The endings of the tubes can be of three types: medium bi-pin (MBP), single pin (SP) and recessed double contact (RDC). The medium bi-pin end appears mostly in shorter length tubes of 4 foot length and shorter. The single pin is most common in longer tubes of 4 foot and longer or the very thin tubes like the T6. The recessed double contact (RDC) end is found only in high output lamps which operate with a high current output ballast for better starting in cold applications. Printed on all fluorescent lamps are industry standard designations (e.g., F40 T12) to identify the lamp type, size, wattage, diameter, etc. Simply match this with the corresponding designation in the list of PROMOLUX lamps. The second major difference is the color rendering properties and light output of the tube which is measured by the Kelvin degree of temperature, the color rendering index (CRI), and the XY co-ordinates which are often described as cool white, daylight, warm white, natural white, etc. The following table shows examples of descriptions for lamp colors available from other major manufacturers. As you can see, these manufacturers make lamps that directly compete with one another, but not with PROMOLUX. The PROMOLUX lamp design is unique in the lighting industry. PROMOLUX will provide an excellent improvement in both merchandise appearance and shelf life of any display that currently uses lamps like these and others.